What a ton of fun!! [Scotch] and I received our invites from Balvenie (for Warehouse 24 members) to join David Laird and the hosting crew from Momentum (lead by the lovely Jennifer Holm) for a night of tasting at the Landmark Theater in DC and we obliged! The tickets for the event were actually hand made on a letter press by a boutique called Salt and Cedar (link: saltandcedar.com/). 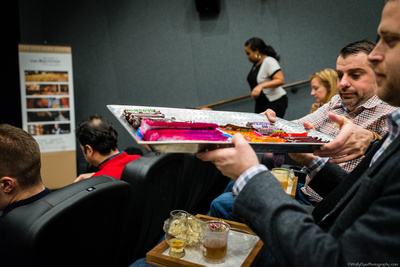 Everyone who made the RSVP for the tasting received one when their name was taken at the movie theater box office. 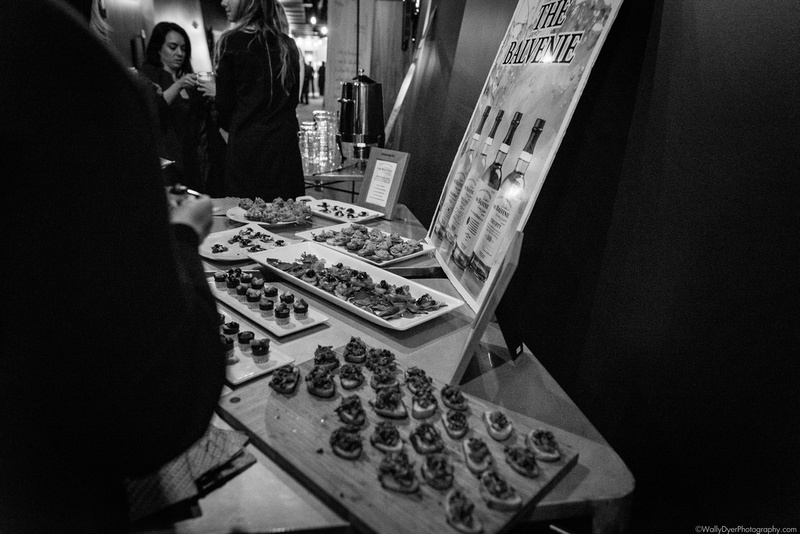 Right next to the hot-scotch-cider table was a table full of tasty appetizers… YUM! 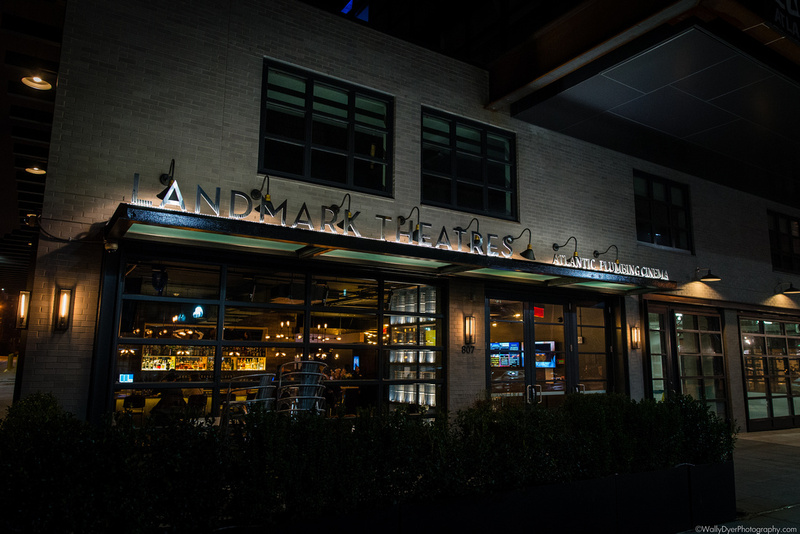 50 people were essentially smooshed into a hallway outside of the theater while our hosts prepared the theater for the killer tasting. 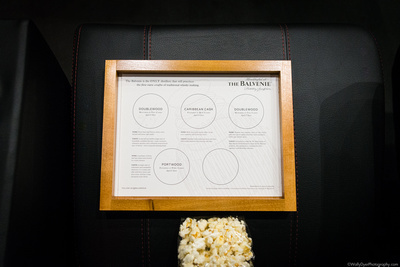 Each seat in the theater had the classic Balvenie tasting tray with a bag of popcorn on it. 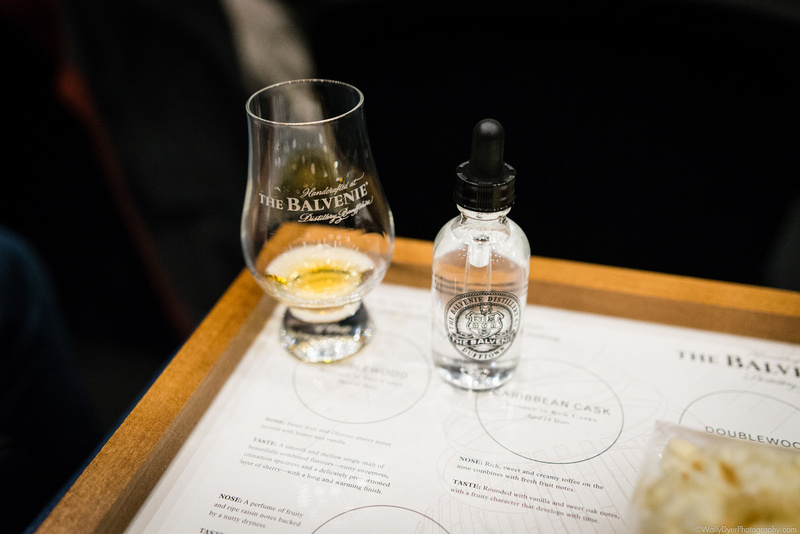 The cup holders each held a Balvenie branded water dropper. 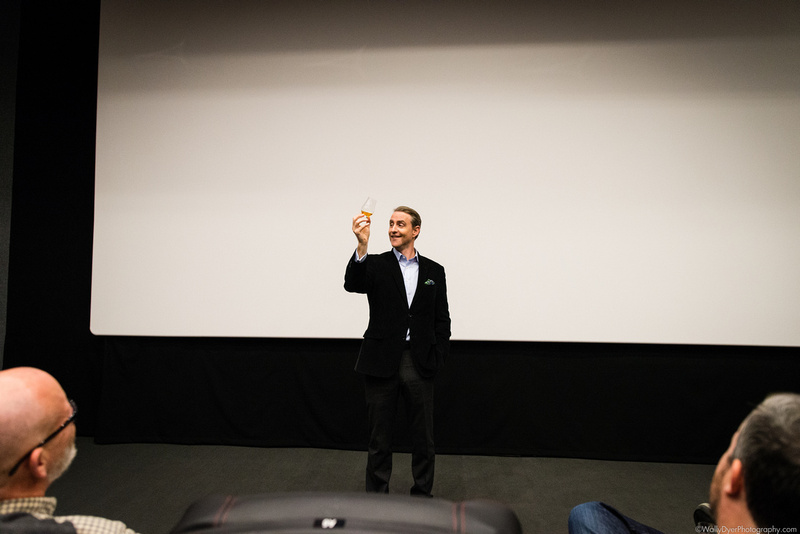 David gave a great presentation hitting on a few familiar points from other Balvenie events but of course bringing up quite a number of new stories that we hadn’t heard before. 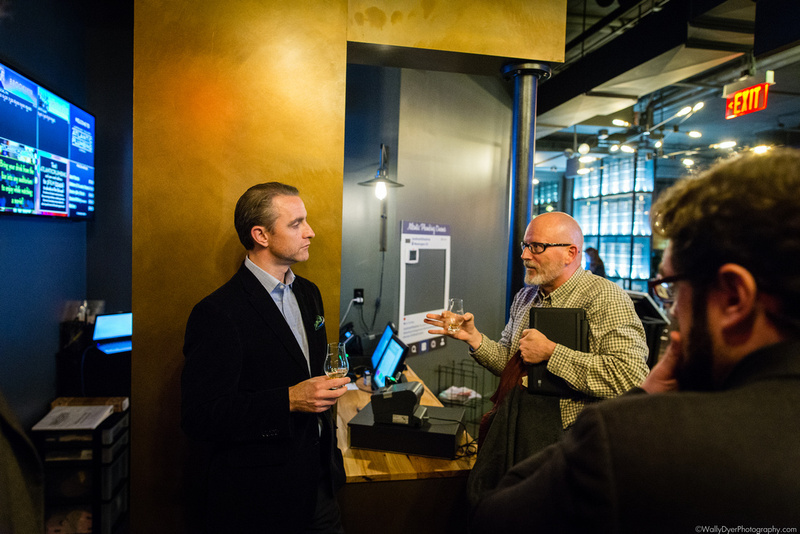 It was great to have such a small group for the tasting event. 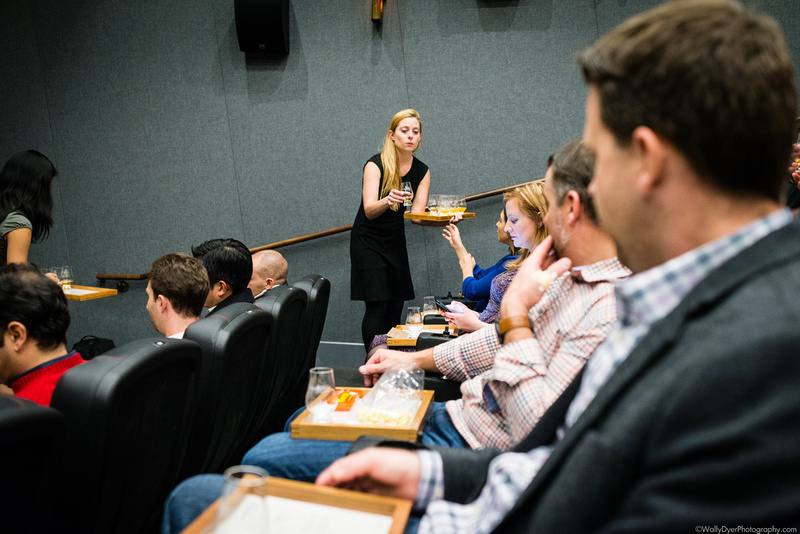 At other events, groups are typically herded from location to location so people can taste, listen, and get out. 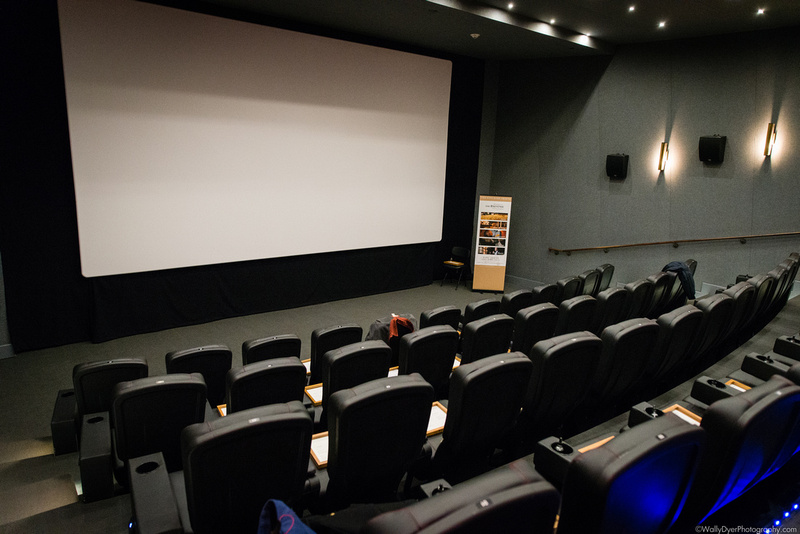 In a theater, it was much more intimate. There were a few questions asked by other guests and very awesome answers were given. I think the level of detail was much better at such a small event. 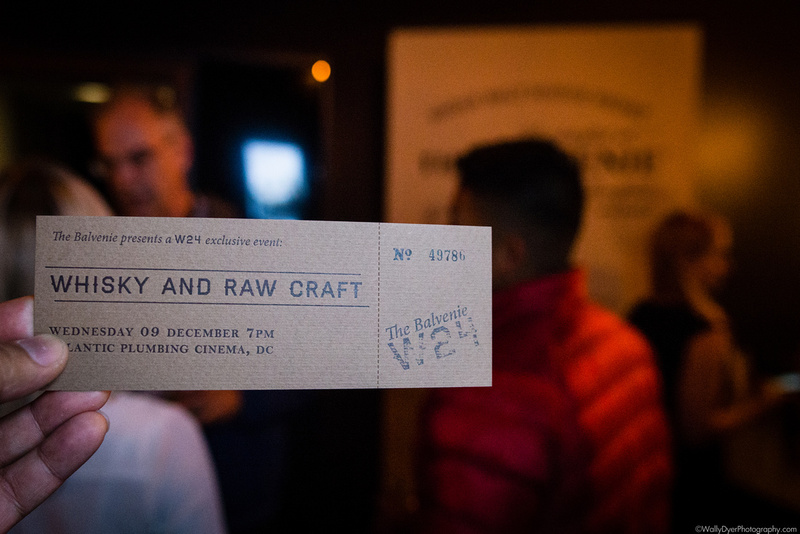 We watched a few (3) of the rare craft videos with Anthony Bourdain but in between David spoke about the five rare crafts that Balvenie holds true to (Barley, floor maltings, coppersmiths, coopers, and the Malt master). 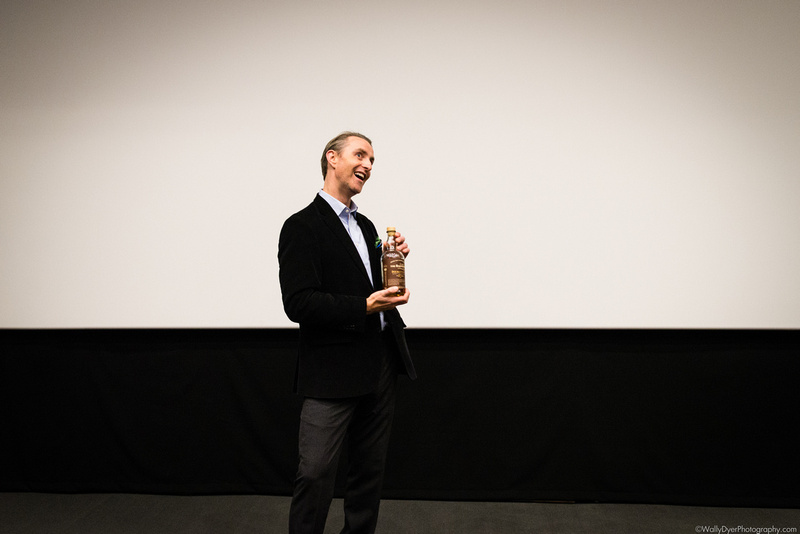 After all of the videos, speaking, tasting, learning, and fun, I think the best part of the entire event was being able to talk to David one on one and ask him questions related to other parts of the scotch world and his job like how he got his job and what his favorite scotch is outside of the Balvenie. 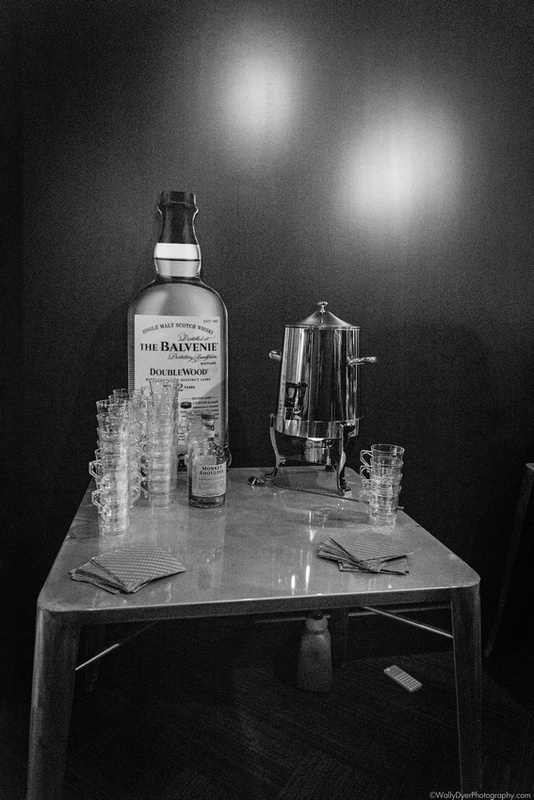 It’s this level of personal attention at Balvenie events that keep us coming back. It’s what Macallan and Glenlivet have both missed the mark on. I’ve got theories as to why the tastings are so different (different brand goals, distillery sizes, etc) but it’s interesting to see the difference so obviously. 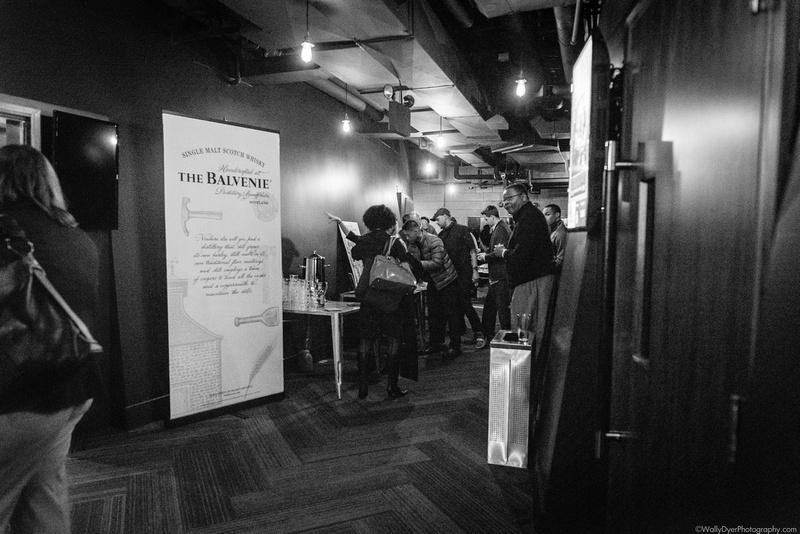 Balvenie, David Laird, Jennifer Holm, thank you again for a wonderful night of stories and scotch. 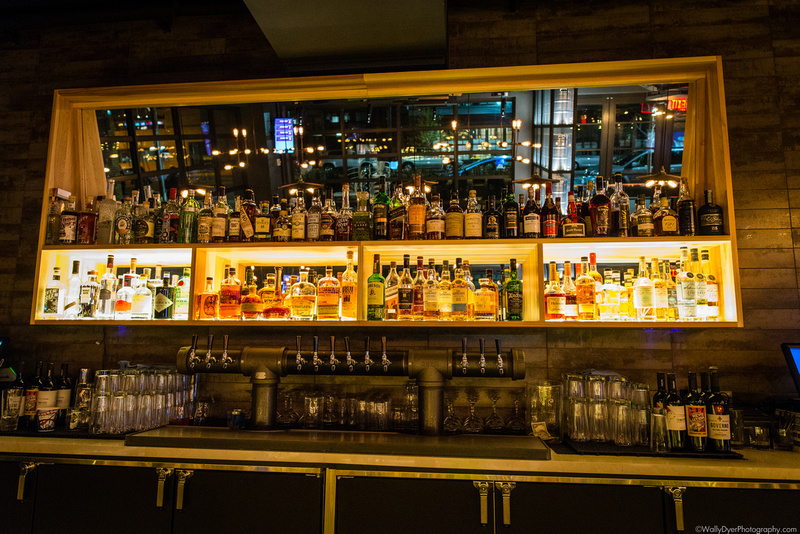 Go here to sign up for Balvenie’s Warehouse24! !